Sit back and relax on the Journey Through the Clouds in this scenic adventure as it winds it's way past natural wonder after natural wonder. 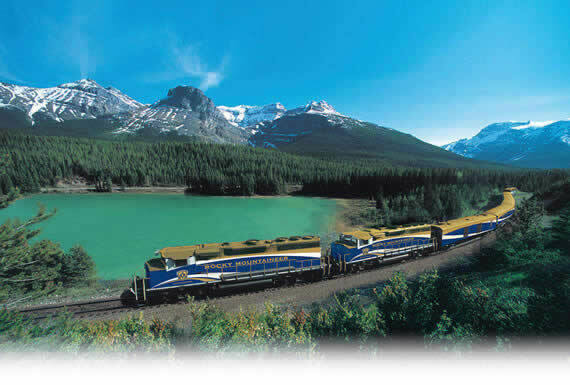 Through the Canadian Rockies, you will experience panoramic views of the mountain range, untouched forests and lakes, and perhaps catch a glimpse of the unperturbed Canadian wildlife. With daytime only travel on this award winning train, you are sure to catch each and every sight through the over sized windows on the Red Leaf train or through the dome cars of the Silver and Gold leaf trains. With superb service and exceptional accomodations, you are sure to enjoy every minute of your vacation.